First the snow (and a ton of it). And until we reach the flowers blooming in May, we have the dreaded almost-daily chance of April rain. Time to bring some color and fun to these days, eh?! As always, I suggest investing in a statement piece. 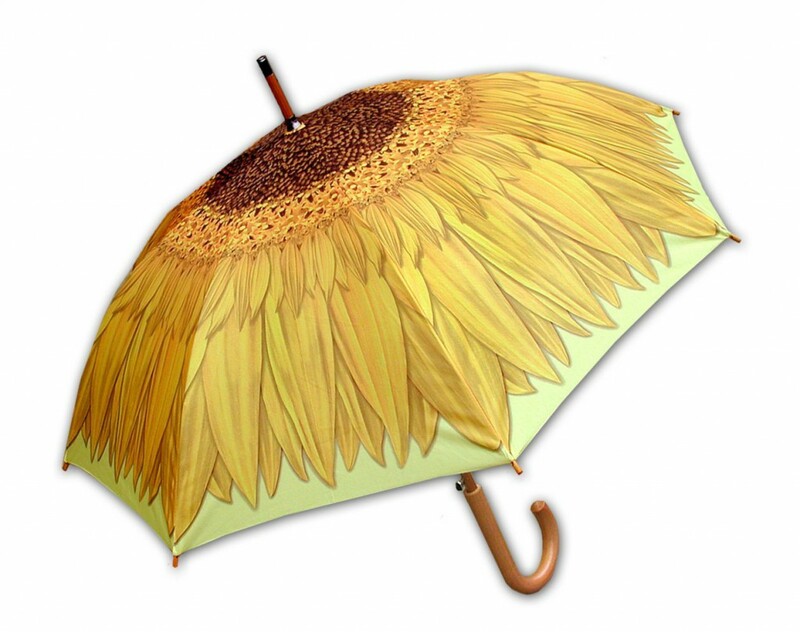 An umbrella that really WOWs people as they pass you. 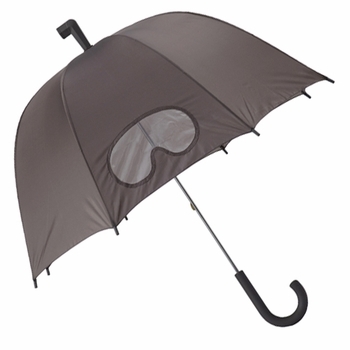 If you love the bubble like I do, check out the Goggles umbrella ($32) complete with faux periscope cap. You can peep on the street without lifting AND it comes in yellow too! Or why not spread love with this gorgeous heart ($30). Warning: may cause smiles from people otherwise annoyed by bad weather. 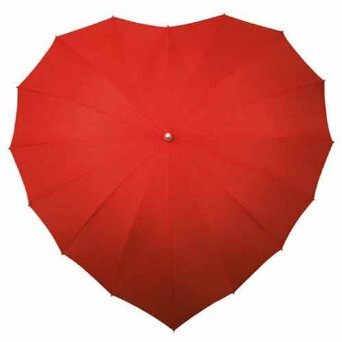 Conversely, if you are one of those annoyed people, here’s the umbrella ($23.99) for you! And hey Mother Nature lovers, who feel rain is food for the Earth, celebrate the return on precipitation which is happy flowers ($24.99) to come. 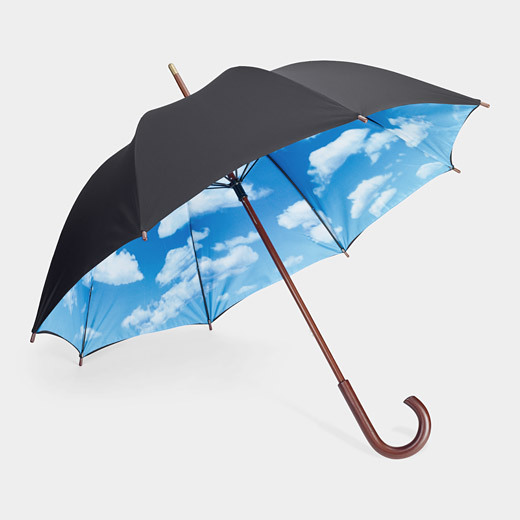 Perception is reality… so if all else fails, why not look up and see bright clouds and blue sky ($48). Personally, I don’t mind the rain. There’s nothing wrong with getting a little spritz from mother nature! So it is very rare you’ll find me with an umbrella. But, when in doubt or in a downpour, get on with your new rain gear paired with a smile. 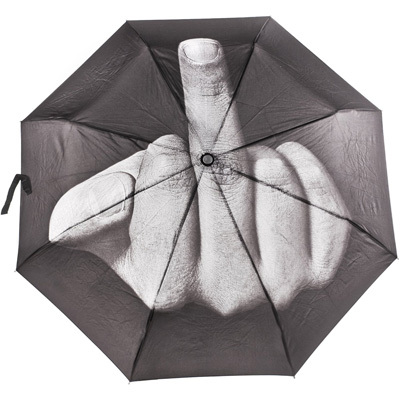 I see we both like the middle finger umbrella. #TWINSIES!! !